Infrared Saunas differ from traditional saunas as it uses infrared radiant energy to directly penetrate into the body's tissue up to 1.5 inches to produce sweating. Traditional saunas use steam to heat the air inside the sauna, which then heats your body until you begin to sweat. In order for this to be effective, temperatures reach upwards of 190 degrees fahrenheit. 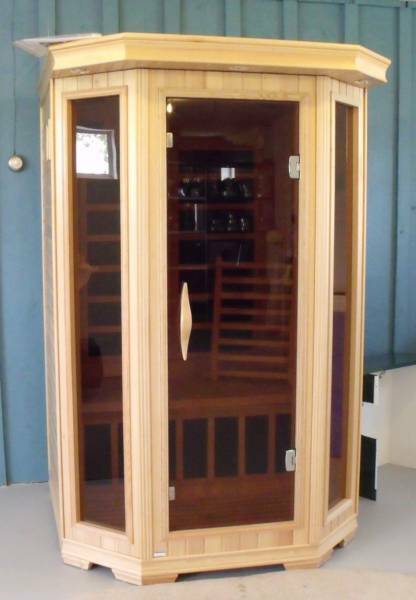 Infrared saunas only need a temperature of up to 120 degrees fahrenheit to obtain the same effect. This lower temperature makes the atmosphere more tolerable, while also allowing you to breathe easier. Infrared energy is not only safe, but also highly beneficial for our bodies. Infrared lamps are actively used for medical treatments by doctors, chiropractors, physical therapists, and massage therapists.